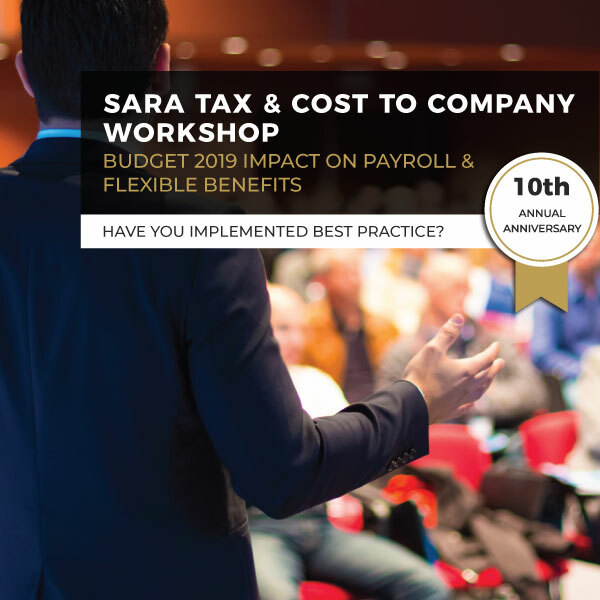 This will be the 10th year that SARA will be running the annual two-day workshop on basic PAYE computations, tax structuring and package build-up, which will be presented by Jerry Botha. The past attendees have ranged from new entrants to the HR profession, with little or no basic knowledge of tax and payroll practices, to advanced HR, payroll and reward professionals including Human Resource Director level who need a refresher. This is a safe learning environment, where the emphasis is on true knowledge transfer and learning. Members are encouraged to send their junior payroll, remuneration and human resource practitioners for a step-by-step learning process through the computational fundamentals. Two days attendance is compulsory to gain the full value of the workshop, as one computation builds on the next, to achieve a full cost to company and flexible benefit computation by the end of the 2 days. This is an authentic workshop environment with a guide which needs to be completed. In addition, attendees will be required to perform 35 to 40 sample computations providing detailed explanations. There will also be principle training in-between the practical exercises. General tax queries and principles as per questions asked by delegates for items they feel are challenging in their environment. Jerry Botha specialises in employee remuneration, benefits and tax. He holds his own FSB license, is a Master Reward Specialist, CFP®, Chairman of the PFI Tax ISG, SARA Executive Committee Member, Chair’s the SARA Employee Benefit and Tax Committee.